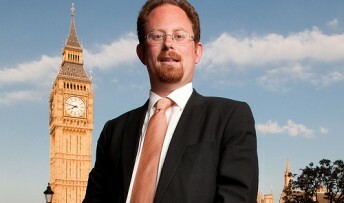 Controversial plans for a £1.8 billion plus snoopers’ charter giving the government powers to access all private data through secret notices cannot be allowed to become law says MP Julian Huppert. He been part of the largest ever piece of pre-legislative scrutiny of the Draft Communications Data Bill as a cross-party member of a panel of MPs and Peers and the proposals are “damning” and the Bill in its present format cannot proceed, he says. “It was shocking to me just how little effort the Home Office made to work through their proposals with the mobile phone companies and the Facebooks and the Googles,” he said. “They didn’t bother to consult properly, assuming that discussions they’d had in 2009 on similar proposals by the Labour government would suffice. And they failed to talk through the details with the Commissioners here in the UK who would have to supervise the system. “The Home Office proposals go way beyond the current rules with virtually no safeguards, asking for powers for the Home Secretary to insist on any information about any communications being kept, via secret notices. “Our committee has looked into this, and concludes ‘the draft Bill pays insufficient attention to the duty to respect the right to privacy, and goes much further than it need or should’. “The Police and a huge range of other bodies already have access to information for 12 months about every call you make, every text message you send and the websites you visit. It’s the ‘who, what and where’ of your call, not what you actually said. But under the Bill everyone becomes a suspect as the new powers could be used for speeding offences, fly tipping and for vague reasons such as being in “the interests of the economic well-being of the United Kingdom. The Home Office estimates the cost of the new powers would be £1.8 billion but the committee feared that the cost could be greater given the experience of other government IT projects.